In case you’ve never seen it, Degrassi follows the lives of Canadian high schoolers through the trials and tribulations of growing up. The series is known for being progressive about portraying taboo issues that teens deal with on a daily basis. From sexuality to mental health to gender identity, Degrassi has covered it all. This show has been the jumping off point for many celebrities, including Drake and Nina Dobrev. Many Millennials learned a lot about the world around them by watching this show. Despite often being controversial and over-the-top, it addressed so many important modern issues. I am willing to bet that for many people, watching the show was the first time they were exposed to such topics. To me, Degrassi is much more than trashy teen TV. Sure, there are moments where the drama is over exaggerated to the point that the plot is unbelievable. But who doesn’t love getting wrapped up in fake drama? At its core, the show has great heart. Even 14 years ago, the show was fearless when tackling controversial issues. Having a show like Degrassi on TV shows kids that they are not alone. No matter what they’re going through, they can identify with someone on the show. When I was in middle and early high school, I looked up to the shy girls who learned how to become comfortable with themselves. Now, my favorite characters are those who do their best to treat others well. Whether a viewer is dealing with an eating disorder, sexuality, family trouble, anxiety, death of a loved one, gender expression, or almost anything else, there is a character going through the same thing. Don’t miss out on the final two weeks of the show on TV, starting on July 20th! I’m sure there will be plenty of drama and more life lessons to learn in the final episodes of this groundbreaking show. On June 9th, Netflix announced that it will be airing a spinoff of the show, called Degrassi: Next Class. Creators hope it will gain popularity with a post-millennial audience. So while the show is continuing in a way, there’s no way to know for sure if it will ever be the same. 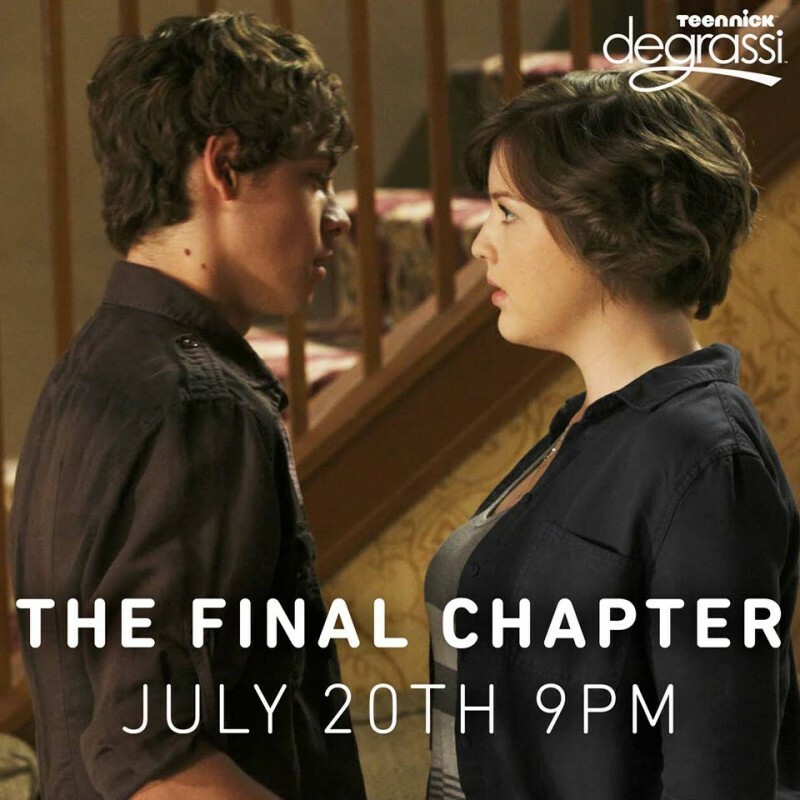 Goodbye for now Degrassi, we will miss you. If you’ve never watched Degrassi, I highly recommend catching a few episodes. If you are a fan, what did you learn while watching? Do you think it was time for the show to go, or are you excited to keep watching on Netflix? Let us know in the comments!